Internationalization and globalization, among all their advantages, also bring difficulties. Especially intercultural differences between employees can cause problems and even result in project failure. Demographic change, globalization and internationalization are not new or unknown concepts. 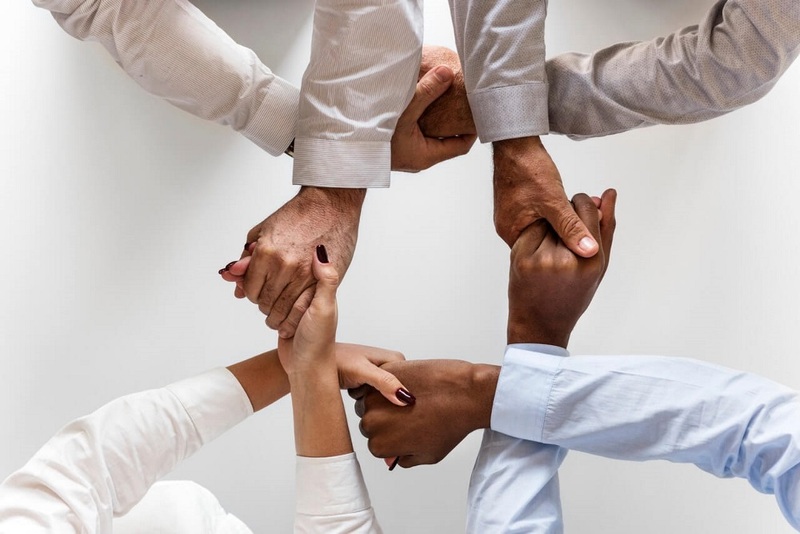 Neither is the so often mentioned intercultural collaboration and communication or the knowledge that working in intercultural teams can and will lead to problems if employees are not properly trained and made aware of the differences. Unfortunately, these risks are still not being taken seriously enough and possible problems, which could lead to overall project failure, are much too often dismissed as irrelevant. Obviously intercultural collaboration has significant advantages compared to work in monocultural teams, or it wouldn’t be as established and accepted as it is. Different cultures, origins and experiences lead to different perspectives and ideas. What follows are inspired and lively discussions and increased creativity, which in the end leads to more and better output. This way, other cultures could feel represented by companies that they might not have had a connection to before, and become new customers. You will be able to open up new markets easier with the help of experts in the specific culture and violations of their standards and values can be prevented. Employees themselves also benefit from working in intercultural teams. Being confronted with people from other cultures firsthand leads to less prejudices and an improved working atmosphere. Furthermore, companies that can advertise with diversity among their employees tend to have a better reputation and be more popular as an employer. Of course the aspect of (body) language mustn’t be missing here. Even little nuances in facial expressions or gestures can cause insecurities or be the reason for misunderstandings which, in the worst case scenario, can lead to project failure because employees can’t or won’t work together anymore. Language is another obstacle, but not only the obvious language barrier or not being able to communicate in your mother tongue. Even if you think you are able to communicate in a foreign language on a good (or even a very good) level – every word that may sound or look similar and seems to have the same meaning as the one in your mother tongue can include a whole other set of concepts and beliefs in another culture. Basically it becomes dangerous when people just assume that cultures and their people’s beliefs, values and points of view were similar to their own, or even the same. This can lead to a lot of conflicts. Each culture is centered around their own patterns and values, with different levels of importance. This also applies to the understanding of collaboration and the role of a team leader. Sill, every method works, thus, there is no need for change – which is the point where conflicts can be rooted. Even though the conflict potential due to the culture and language barrier is nothing new and even the scientific cultural background is becoming more and more known, more implicit differences are still not talked about. Employees are therefore still not sensitized enough and do not know how that there might be cultural differences or how to deal with them. As a result, there may be conflicts and intracultural grouping, which has more often than not meant the end of the project. There are ways, however, to prevent that from the very beginning. Even before contacting your foreign associate for the project, familiarize yourself with (implicit) differences in communication and behavior. It is best to consult an expert in the specific culture you want to get to know, who is experienced in dealing with interculturality. Before your team meets for the first time, make sure that everyone is sensitized for the other culture, that they know what teamwork means to the other team members and how they see the role and the tasks of a team leader. You can do so for example by offering mandatory workshops led by intercultural experts. The first meeting should be somewhere neutral to all team members, where everyone can get to know the others in a relaxed atmosphere before starting to work on the project. Intercultural Collaboration and Leadership – Advantages, Challenges and Solutions - InLoox • Copyright 1999-2019 © InLoox, Inc. All rights reserved.